A colleague of mine bought a magnetic word kit this past weekend. The play area of their website would be great for group work and would be a cool tool to use with the Promethean boards. 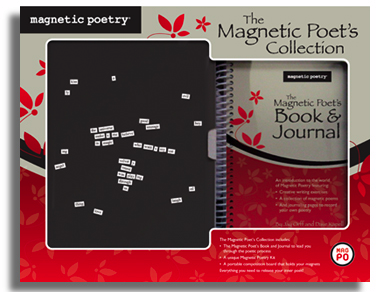 You could have the students work together to make poems, write sentences etc. The online sets have words separated by categories: Artist, Genius, Poet, Office and Romance. They even have word kits in other languages which would be great for second language learners. Wow, you’re so lucky to have such resourceful and collaborative colleagues!